ddddWe geeks 5 Reasons It's Better To Date A Geek [Opinion] 5 Reasons It's Better To Date A Geek [Opinion] Let's face it - geeks make for a better relationship than any of those alpha-male types. Exactly why is that though? Are you prepared to shun good looks for reliability and utility? What can you... Read More know what we are and revel in our existence as our place in society grows ever stronger. We are geeks, we are proud, and we’re not going anywhere. As the Internet becomes a bigger part of everybody’s lives, we are the ones who they, the non-geeks, will turn to for help and advice. And we will offer that help and advice without hesitation. There are some fantastic resources on the Web for geeks, of all ages and all kinds. Be it computer geeks who like to mess around with the insides of machines or those more mainstream geeks (as I consider myself) who approach things from a more basic angle but then delve as deep as they need to in order to understand. The following are 10 websites for geeks that you should bookmark. Lifehacker is a website which does exactly what its name suggests – provide life hacks. These are anything which can help solve an everyday problem in a new way, or aid productivity and efficiency. Within those boundaries, content on Lifehacker is diverse, with everything from personal finance to health, from cooking to photography. This is geekdom for those who want to better themselves. How-To Geek is completely dedicated to computers and how they work. There is a constant stream of articles related to the topic, as well as forums with sections dedicated to all the major operating systems and specialized topics such as building your own PC How To Build Your Own PC How To Build Your Own PC It's very gratifying to build your own PC; as well as intimidating. But the process itself is actually quite simple. We'll walk you through everything you need to know. Read More . This is geekdom for those who know a little but want to know more. TechRepublic is a vast resource with sections dedicated to blogs, downloads, galleries, and discussions, amongst others. Content is also segregated by the field of technology it belongs to; development, IT support, networks, etc. This isn’t a site for everyone but rather those who already have some kind of connection to the tech sector. This is geekdom for professionals. Ozzu labels itself simply as ‘Webmaster Forum‘ and that’s a fitting description. This is news, information and resources for developers, programmers, and designers. There are forums for those with a passion for each of these professions, with a considerable amount of crossover included. A marketplace offering job opportunities in this field also features. This is geekdom for webmasters. Neowin has tech news, reviews, features, and forums. It was once all about Microsoft and its products, but it has now evolved to cover Mac and Linux amongst other things. It’s fair to say there is still a pro-Microsoft bias on the site though, which isn’t a bad thing considering all the pro-Apple bias on other sites. This is geekdom for fans of Windows. Protonic is a site offering an invaluable service. If you need technical support for your computer, be it hardware- or software-related, then you can get it for free on Protonic. You simply ask a question and a volunteer will answer it for you, offering assistance completely for free. This is geekdom for those in need. ITProPortal delivers “24/7 Tech Commentary & Analysis.” This is around-the-clock news with a British bias, with different sections dedicated to different sectors of technology. What differentiates ITProPortal from so many other sites is the added commentary, with a different spin often put on stories you may have already read elsewhere. This is geekdom for tech news junkies. Gizmag is the place to spy on invention and innovation. While we all know about the new iPad New iPad Review and Giveaway New iPad Review and Giveaway The third generation (2012) iPad was announced on March 7, 2012, and have recently reached their new owners across the globe. How does it compare to its predecessors -- the iPad 2 and original iPad?... Read More or Windows 8, we don’t always get to hear about the slightly zany, out-there gadgets in development. Which is where Gizmag comes in. We’re talking flying cars and suction-cup shoes. Things that we may or may not all be using in the years to come but which are already out there now. This is geekdom for those who love gadgets. Stackoverflow is a constantly updating stream of programming-related questions. If you’re the kind of person who likes reading questions about programming and on topics completely incomprehensible to ordinary people then Stackoverflow could be your nirvana. I’ll be honest and admit I haven’t a clue what most of the questions on Stackoverflow are pertaining to, but James Bruce may well do. This is geekdom for those who are bigger geeks than me. MakeUseOf is awesome, obviously. If you’re reading this then you already know MakeUseOf is THE place for geeks to hang out. With more than 20 writers, all of whom have different interests and expertise in different fields, MakeUseOf will have something for everyone. The 10 websites above represent geek heaven. These are where all geeks or would-be geeks should be hanging out on a daily basis. When combined with the 10 websites where cool computer geeks reside 10 Websites Where Cool Computer Geeks Reside 10 Websites Where Cool Computer Geeks Reside Geeks were once ridiculed and reviled. Or perhaps that was just at my school. Either way, as first computers hit the mainstream, and then the Internet entered into our lives in a big way, geeks... Read More you should never be left needing a place to visit on the Web to gain your geek credentials. As always we want to hear from you. 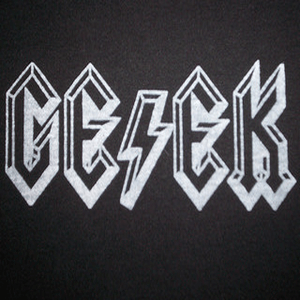 So please let us know your thoughts on geeks, geek culture, and websites for geeks. If there are you visit on a regular basis that you feel should have made the list then link to it in the comments section below. Lifehacker is one of the first websites I load up on a daily basis (along with io9 and makeuseof - obviously) will be giving these others a try riiiiiight..... now. I like http://www.instructables.com myself. A little more hands on / DYI focused. I check it often! Hey, that's one of my articles featured prominently in the How-To Geek screenshot! It's a small world -- or Internet, rather. on the must-bookmark emergencies page, the hospital finder is out-of-date. St. Vincents Hospital on W 12th Street in NYC has been closed for a couple of years now. I refer you to my response to your other comment about this subject. The hospital finder is inaccurate, at least for zip code 10001. St. Vincents Hospital has been closed for a couple of years now. That's merely a screenshot from an article written in 2008. So I'd assume it was accurate at the time of publication. All I can suggest you do is to get in touch with US Hospital Finder - http://www.ushospitalfinder.com/ - to inform them their information is out-of date. You have left out one REALLY COOL SITE. I wanted to say that :) it's a good site.